Where is my postgraduate ceremony? When is my postgraduate ceremony? 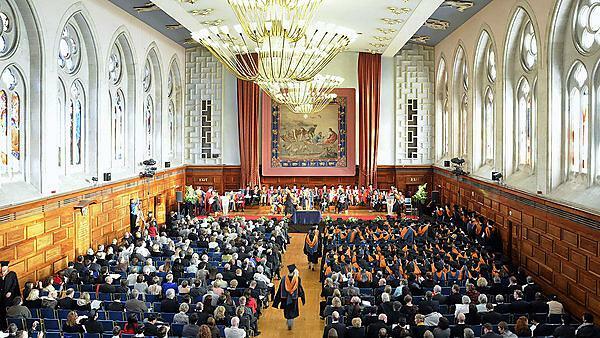 Postgraduate ceremonies will take on Friday 6 December 2019. Please note these ceremonies are for postgraduate students only. You must have completed your studies between 1 September and 29 November 2019 to be eligible to attend this graduation ceremony. Successfully completing your studies means that you have submitted all required assessments, these have been considered and confirmed by the Award Assessment Board, and you have been informed by your faculty that you have passed your course. If you are unsure when your faculty award boards meet and do not know whether you will be eligible to attend the July 2020 ceremonies, please contact your Faculty Office for advice or review the important dates for the current academic year. The ticket price includes entrance to the ceremony and a souvenir graduation programme. Due to the constraints of the venue and availability of surrounding venues we are unable to offer a post-ceremony reception. Due to the time of year, we would advise you to make any lunch/dinner reservations as soon as possible to avoid disappointment. Please note that tickets for each ceremony are allocated on a first-come, first-served basis. Once you have booked your tickets you will be able to collect them from the ticket table on the day of your ceremony. Tickets will not be sent to you in advance. If you have not yet received your results, but expect to before 29 November 2019, please still book in anticipation of successful completion. If you do not subsequently complete your studies in time, please email graduation@plymouth.ac.uk and you will be refunded the full cost of your tickets. How can I hire my academic dress and professional photographs? Academic dress hire will open in October 2019. Please book your academic dress prior to your ceremony from J Wippell & Co Ltd.
Tempest Graduation Photography is the official photographer for the ceremonies, and will have studios located in the Guildhall. Tempest offer a "proof on the day" service which means that you do not need to pre-book. Graduation week 2020 will take place 13–18 July. The final graduation timetable will be published on the graduation webpages closer to the time.